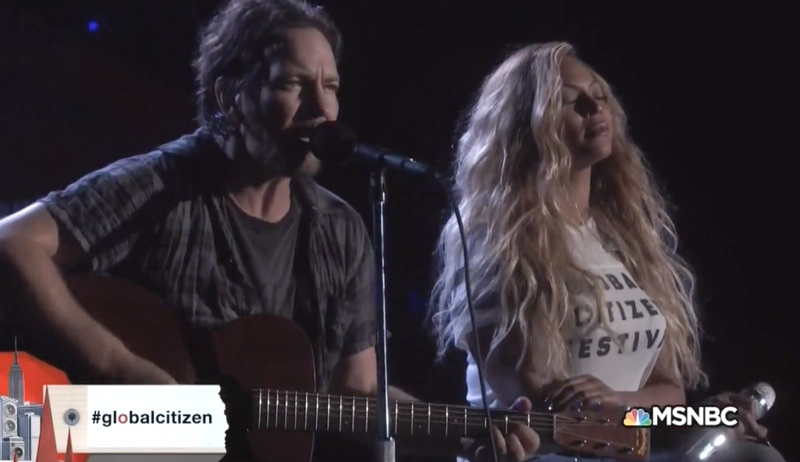 The King of Grunge and the Queen of Pop joined forces at this year’s Global Citizen Festival. During Pearl Jam’s headlining set, frontman Eddie Vedder welcomed Beyoncé to the stage to duet Bob Marley’s “Redemption Song”. Watch pro-shot footage below.